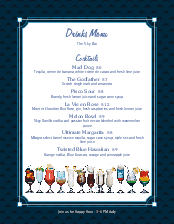 A row of colorful mixed drinks border the bottom of this modern Cocktail Bar Menu. 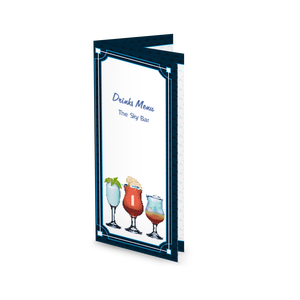 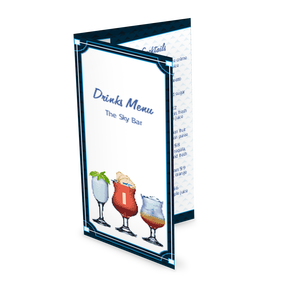 The navy blue border has a bold look for your contemporary bar or restaurant. 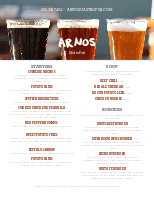 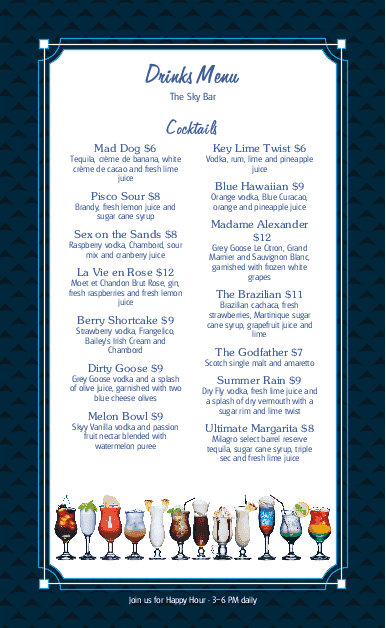 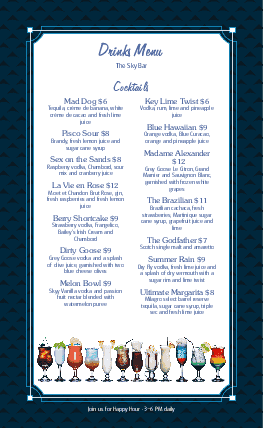 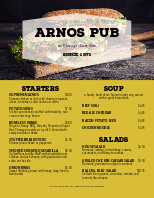 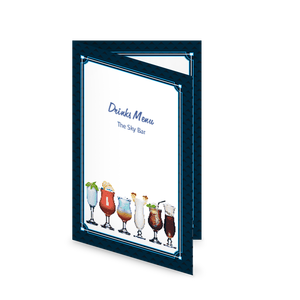 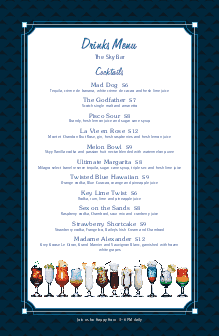 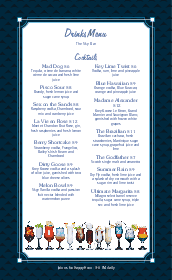 Customize this menu template to create your own cocktail menu.